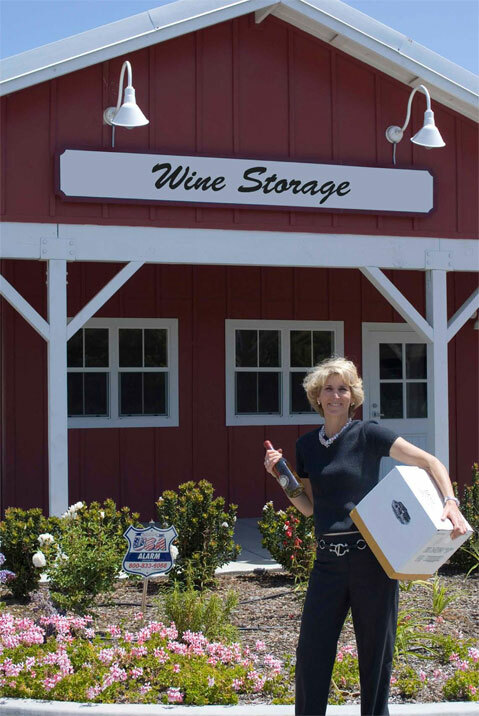 Margerum Tasting Room (aka The Wine Cask) has teamed up with Santa Barbara Wine Storage (run by the Carey Group, Inc.) to save their clients time and money! Most wine collectors and wine club members love to avoid three things: 1) Waiting at home or work for a wine delivery (wine has to be receipted for by someone over 21 years of age), 2) shipping charges (which can run $3.00 a bottle), and 3) having their wine shipped during warm weather (April – October). Brooks Van Wingerden, marketing director for Margerum Winery had the winning idea, says, Trudi Carey, President of The Carey Group, Inc. and Manager of Santa Barbara Wine Storage. When Brooks was touring our wine cellars a “lightning bolt went off” and she said she could easily have Margerum Winery’s delivery truck (coming down from their vineyard in Santa Ynez) stop at Santa Barbara Cellars on their way to their tasting room on Anacapa Street. Margerum Wine Club members would then avoid a UPS shipping fee and not have the worry of having their wine sit in a hot truck during the summer months. Additionally, Santa Barbara Wine Storage clients with receiving services, would eliminate the need to wait for shipments at their home or office. For many wine collectors, the shipping savings alone can pay for their cellar rental! With cellar rents starting at $15 a month and shipping charges per case of up to $36.00 … it is very easy to see that this is a winning formula. To celebrate this new affiliation, all new wine storage clients at Santa Barbara Cellars are being offered free wine tasting from the Margerum tasting room during the month of March and Margerum Wine Club members receive a free month’s rent on a new cellar rental in March. For more information visit www.sbwinestorage.com or www.margerumwinecompany.com.